Android gamers can catch up with the iOS crowd from today. 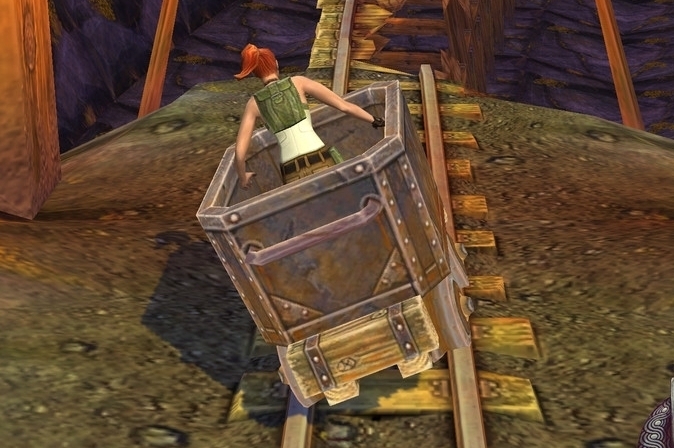 Imangi's chart-topping sequel Temple Run 2 is now available to download from the Android Google Play service. This sequel to one of mobile gaming's biggest games places you once more in the shoes of a frantic archeologist escaping from a temple, but there's a few new twists. The paths themselves are less angular, the new zipline lets you to take to the skies momentarily, and a new power-up system rewards players for collecting coins. You can even unlock new characters as you progress through the game. We reviewed Temple Run 2 last week and awarded it 4 out of 5 stars, but what did Imangi have to say about the game? Our interview with developer Keith Shepard has everything you need to know about how this sequel was created.